The leadoff batters — Jacoby Ellsbury and Brett Gardner — sucked. The whole second half. They had been fantastic the first two months of the year — a key to the Yankee success. 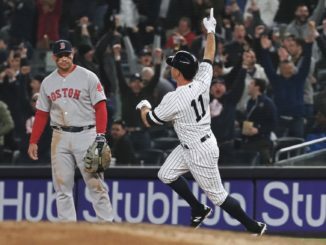 Gardner — who was batting .305 on July 1st — batted .247 for July, .208 for August, .207 for September, .143 for 15 At Bats in October, and then went 0-4 with 3 strikeouts in the Wild Card game. There was talk he was playing injured. 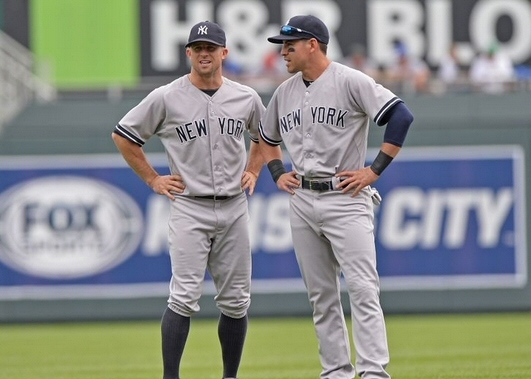 Joe Girardi said he kept asking him if he was ok, and Gardner said he felt fine. But in the end, he batted .259 for the year. His lifetime batting average is .264. At least his base percentage (OBP) was a decent .343 on the year (lifetime .346). Ellsbury — who was batting .324 when he injured his knee May 19th — batted .215 for July, .252 for August, .217 for September, and .000 in 8 at bats in October. Then went 0-1 as a pinch hitter in the Wild Card game. Ellsbury finished with a .257 average (lifetime .289) and a very sucky .318 OBP (lifetime .343). The 162-game marathon doesn’t have the meaning it used to. A full 1/3 of teams advance to the playoffs. Fans forget this. The Wild Card is great, but any good baseball team can beat any great baseball team in a short series. A one-game playoff is a complete roll of the dice. The Yankees won 87 games — tie-ing Texas for the 3rd best record in the AL. Three years ago, Houston would not have made the playoffs, the Yanks would have been the one wild card team and faced Kansas City in a playoff round. 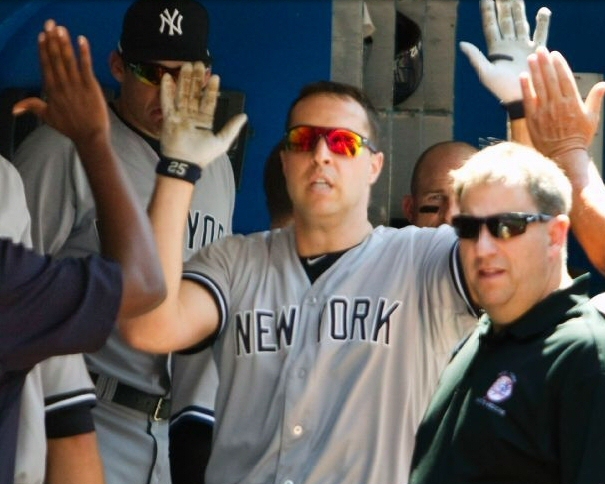 They lost their MVP — Mark Teixeira — on August 17th. He was amongst the league leaders in homeruns, RBI’s, and slugging when he went out, and was playing a phenomenal defensive 1st base. 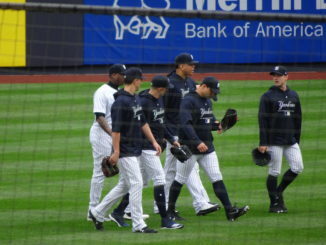 Gregory Bird filled in well so Teixeira’s absense didn’t seem to be felt that much. Tex is a switch hitter and Bird wasn’t hitting lefties well at first, but Bird actually finished with a higher batting average against lefties (.238 w 2 homers in 42 At Bats, 15 strikeouts) than Teixeira had (.223 w 6 homers in 121 At Bats, 19 strikeouts). Still, it’s impossible to know how much Teixeira could have helped the lineup late in the year and in the playoff game. ‘Tex’ can get hot and hit 2 homers in a game and drive in a bunch of runs and walk a lot. He’s a veteran hitter who can get it done when healthy. If Tex plays, does he do something special in the playoff game, turning everything around as the #3 hitter with Beltran (who did well) batting 4th? 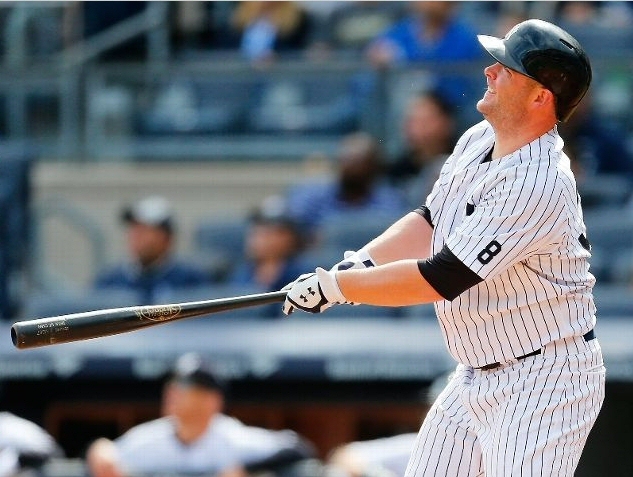 Brian McCann went into an end-of-season slump. After batting .289 for June to sport a .264 average, he batted .206 for July, .224 for August, .177 for September, and .143 for 7 At Bats in October. In the Wild Card game — 0 for 4. 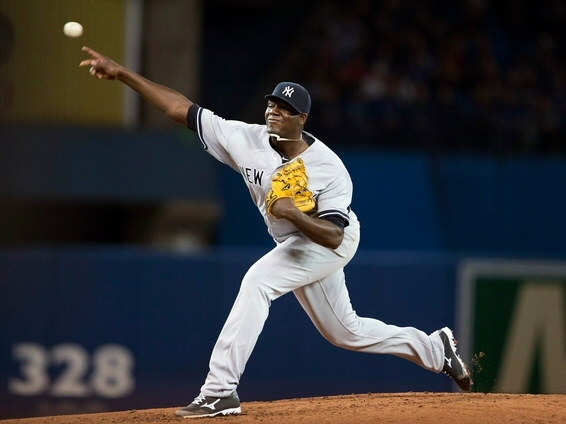 Michael Pineda looked brilliant early, but then we all found out if his slider wasn’t sliding, he was dead meat. Not the dependable #2 starter we thought he was. And this hurt down the stretch, such as when he got torched by Boston in the final week — although he did turn in some great starts such as out-dueling Noah Syndergaard of the Mets late in the year. He finished 12-10 4.37. Unless he finds another out pitch, he appears to be a hit-or-miss starter. 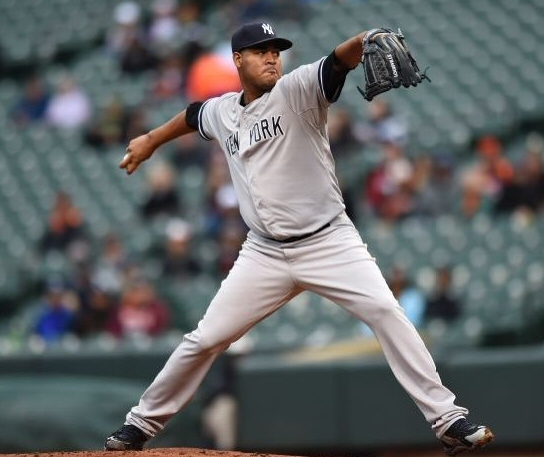 Ivan Nova returned from Tommy John surgery and pitched 6 innings of shutout, 3-hit ball on June 24th. He finished the year 6-11 5.07. At times, Nova looked great, throwing a filthy curveball that made Twitter Vines. But bottom line — he lost 11 games in only half a season!!! 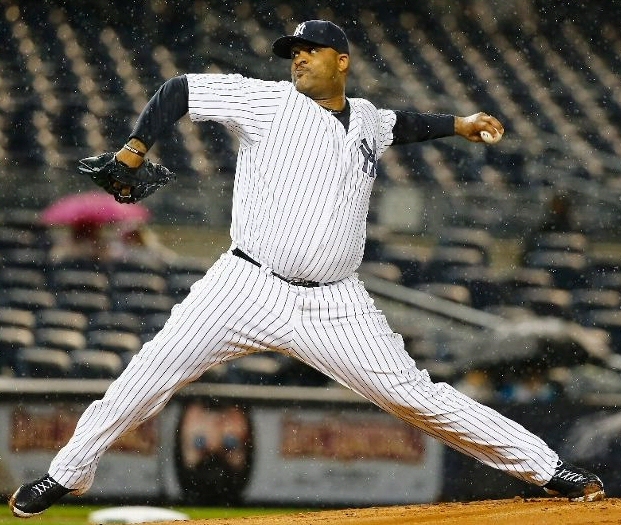 CC Sabathia pitched with the grit of John Wayne in True Grit all year long. He was just starting to pitch well when on August 23rd, Andy Pettitte day, he threw a filthy 90+ slider (according to Pettitte in the radio booth) and had to be removed from the game with knee pain. His season seemed over but he miraculously returned two weeks later with a new and better brace for his knee and became one of the best Yank starters down the stretch — to go along with Masahiro Tanaka, Luis Severino, and Adam Warren. Then — in a bomb shell — he announced he was checking into rehab on the morning before the Wild Card Playoff game. (If you remember, Wayne was a drunkard who drank too much whiskey and fell off his horse in True Grit.) Ironically, CC had apparently started drinking during the post-game celebration after he pitched brilliantly to beat Boston on October 1st to clinch the Yankees playoff appearance. He didn’t stop drinking during the next day’s rain out due to Hurricane Joaquin Andujar‘s Ghost in Baltimore. This didn’t end up hurting the Yankees physically, as they lost the game and did not advance — but it is hard to say how much of a damper it put on the emotions of the team for the one-game Wild Card, as losing CC doomed their long-term prospects in the playoffs. Chase Headley was mediocre offensively, and horrible defensively. He showed he could make the Graig Nettles reaction play at 3rd, but he started ‘thinking too much’ on his throws, and made 23 errors. From a guy who had 8 errors the year before and previous high was 13. Offensively he was 18th in baseball for batting average by 3rd basemen (out of 30 starters) and 21st in homers. Toronto has Josh Donaldson. The 1970’s Yankees had Graig Nettles — who was amongst the League’s best homerun hitters. Headley does not make the Yanks shine over other teams at 3rd. 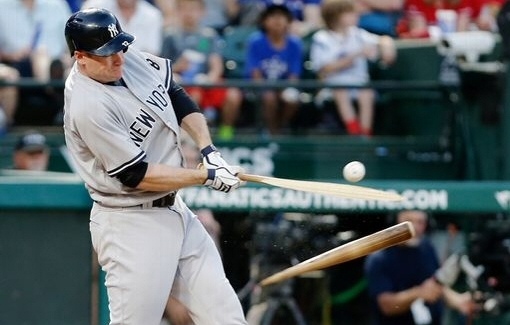 Like Gardner, Headley hit near his lifetime average — Chase batted .259 his lifetime avg is .264. Dellin Betances started walking guys late in the year, and giving up the occasional home run, making you worry when he came in, vs being so sure he’d be lights-out. This happened in the Wild Card game as well — he walked a guy in the 7th, who came around to score to make it 3-0 Houston. Betances was Terrific overall and was still mostly lights out — striking out sides after allowing a run — so he wasn’t really a problem — he was a solution. Still, him not being as dominant late in the year caused the Yankees to not be as dominant. Masahiro Tanaka reacts to homerun in playoff game. Photo by Julie Jacobson of AP. 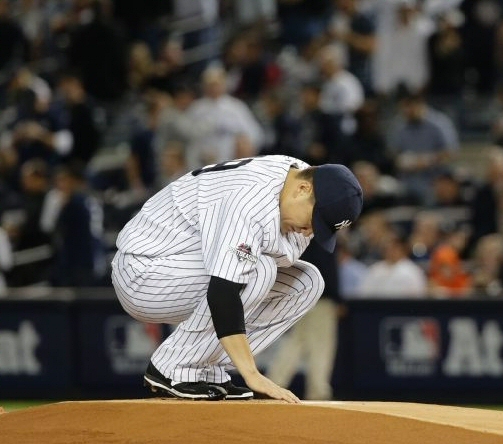 Tanaka was a bright spot for the Yankees — obviously. But sad as this is to write — he wasn’t as good as the other guy’s ace — and in the crazy world of modern One-Game-Wild-Card baseball — you lose when your guy coughs up two homers and the other guy (in Yanks-Houston case, Dallas Keuchel; in Pittsburgh-Cubs case, Jake Arrieta) shuts down your lineup like it isn’t there. 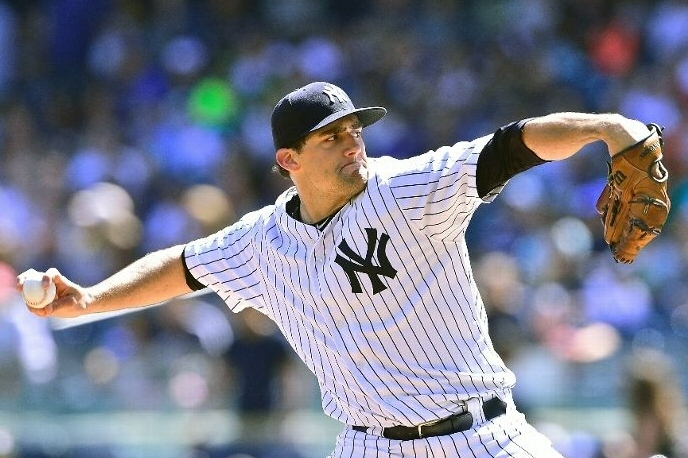 When Eovaldi lost to Tampa Bay 3-2 on Sept 5, he fell to 14-3 4.20 and the Yanks fell to 1.5 games behind Toronto. A few days later we learned the Yanks had ‘lost’ Eovaldi for the rest of the regular season with tightness in his elbow. Eovaldi lost out on a chance for a 17 or 18 win season, and the Yanks lost their most successful starter for the stretch. Everybody lost. Then Chasen Shreve lost it too. He pitched an inning of shutout relief on Sept 5 (Eovaldi’s last game) to bring his ERA to 1.86. 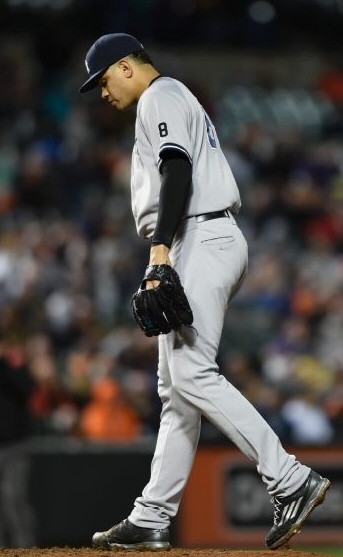 From that point forward he ‘lost it’, and was horrible down the stretch –his relief appearances leading to several outright losses, others putting gasoline on the fire to secure a loss. He finished with an ERA of 3.09. Girardi kept pitching him, hoping Shreve would ‘find it’ but he never found it; it remained ‘lost’. Drew played Great defense at second all year, hit 17 homers, and batted .201. He felt dizzy at the end of the year and was put on the DL. Fans mocked him all year on Twitter, but he was not a problem for the Yanks. 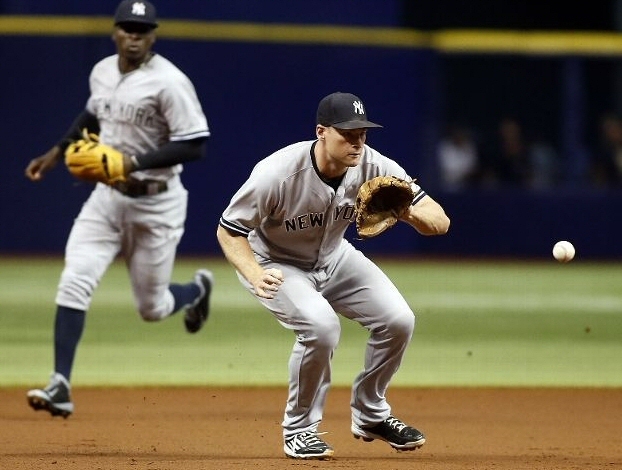 We saw that when Dustin Ackley made two terrible plays at 2nd in game 162 to lead to runs. Rob Refsnyder came up late in the year and looked good offensively and defensively, leading some fans to feel they were right in calling for Refsnyder to play earlier — but Refsnyder batted .271 in AAA — hardly the numbers that would call for him to be up sooner. Girardi took a ton of heat on Twitter all year. 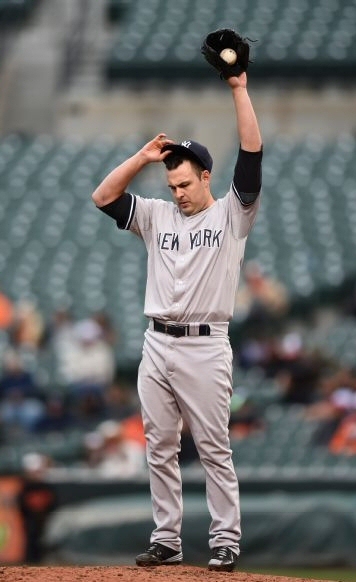 Fans wanted him to pitch Betances less; pitch Miller less, not pitch Nick Rumbelow, Caleb Cotham, Chris Capuano, or Andrew Bailey as much, and so forth. The logic there is illogical — if the Rumbelow’s don’t pitch — then Betances would have to pitch More. As it stood, Betances pitched less innings than the year before. Betances himself kept saying he wanted to pitch more, to keep his curveball curving. Fans crapped on Girardi for continuing to pitch CC Sabathia, but then — at end of year — CC finally found himself and became one of the Yanks most dependable starters down the stretch. 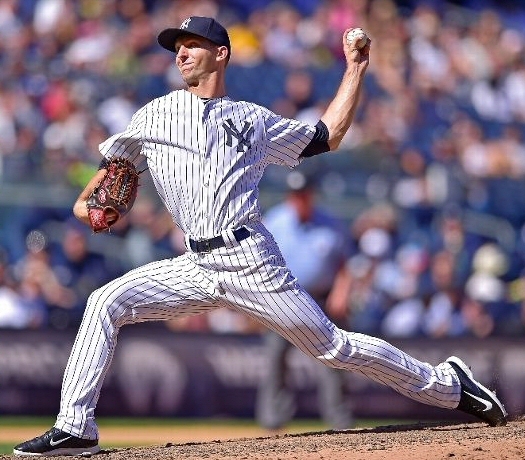 Fans crapped on Girardi for continuing to pitch a struggling Chasen Shreve down the stretch — but again, it didn’t really hurt the Yanks as they made the playoffs anyway — and Girardi knew how much Shreve had meant to them early, being a good lefty out of the pen, and how much they’d need him for a long playoff run. Girardi — one of the best game-calling catchers of his era — is an expert handler of his ballpen, respected by his players, and is in my opinion the best manager the Yankees have ever had. He did a great job handling this team to 87 wins, when his top (of order) fell out. PS: the Washington Nationals and all their talent did not make the playoffs. 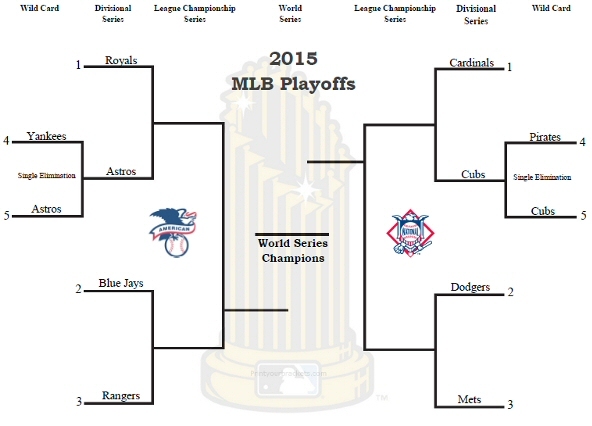 The Baltimore Orioles and Buck Showalter did not make the playoffs. The San Francisco Giants with Bruce Bochy did not make the playoffs. Fans ripped Cashman as usual for doing the wrong things. He didn’t trade for David Price. He didn’t trade for Johnny Cueto. Both were great moves because — we read in papers at the time — to get either the Yankees would have to give up Luis Severino, Greg Bird, or other youngsters like Aaron Judge, Jorge Mateo, James Pazos or Gary Sanchez. The late-season success of Severino and Bird preludes well to the talents of the other Yank prospects. Price was great for Toronto down the stretch but comes with strings attached — he is a free-agent and will be demanding a LONG, big contract for a 30-year-old pitcher who doesn’t win playoff games. Cueto was horrible down the stretch for Kansas City. The Mets lucked out with Yoenis Cespedes — but he was their fourth choice for a deadline deal so Sandy Alderson can’t be That much of a genius (although he is very good). Next up: What Went Right — topic for the next post.